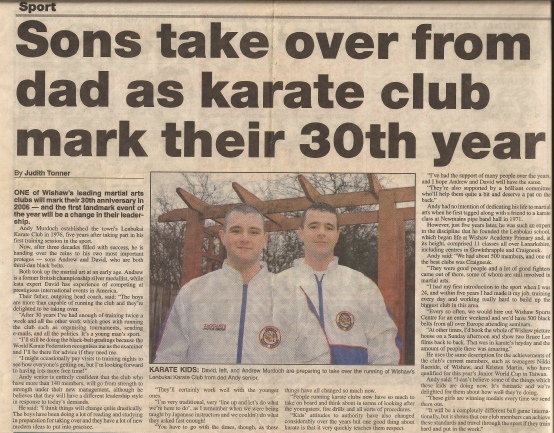 (Newspaper reads) One of Wishaw’s leading martial arts clubs will mark their 30th anniversary in 2006 – and the first landmark event of the year will be a change in their leadership. 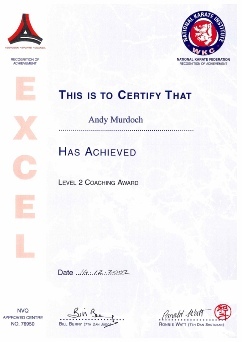 Andy Murdoch established the town’s Lenbukai Karate Club in 1976, five years after taking part in his first training session in the sport. Now, after three decades filled with success, he is handing over the reins to his two most important protégés – Sons Andrew and David, who are both third-dan black belts. Both took up the martial art an early age. Andrew is a former British championship silver medallist, While kata expert David has experience of competing at prestigious international events in America. Their father, outgoing head coach, said “the boys are more than capable of running the club and they’re delighted to be taking over. “After 30years Ive had enough of training twice a week and all the other work which goes with running the club such as organising tournaments, sending e-mails, and all the politics. It’s a young mans sport. 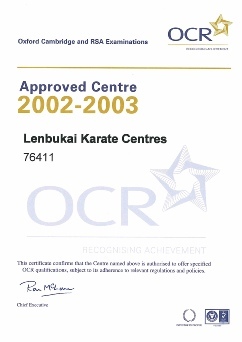 “I’ll still be doing the black-belt gradings as the world Karate Federation recognises me as the examiner and I’ll be there for advise if they need me. Andy senior is entirely confident that the club who have more than 140 members, will go from strength to strength under their new management, although believes that they will have a different leadership style in response to today’s demands. He said “I think things will change quite drastically. The boys have been doing a lot of reading and studying in preparation for taking over and they have a lot of new modern ideas to put into practice. “They’ll certainly work well with the younger ones. “I’m very traditional, very ‘line up and let’s do what we’re here to do’, as I remember when we were being taught by Japanese instructors and we couldn’t do what they asked fast enough! “You have to go with the times, though, as these things have all changed so much now. “People running karate clubs now have so much to take on board and think about in terms of looking after the youngsters, fire drills and all sort of procedures. “Kids’ attitudes to authority have also changed considerably over the years but one good thing about karate is that it very quickly teaches them respect. “I’ve had the support of many people of the years, and I hope Andrew and David will have the same. 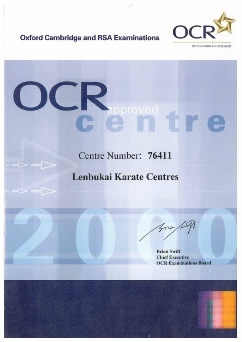 Andy had no intention of dedicating his life to martial arts when he first tagged along with a friend to a karate class at Newmains pipe band hall in 1971. However, just five years later, he was such an expert in the discipline that he founded the Lenbukai school, which began life in Wishaw Academy Primary and, at its height, Comprised 11 classes all over Lanarkshire, including Gowkthrapple and Craigneuk. “They were good people and a lot of good fighters came out of there, some of whom are still involved in martial arts. “I had my first introduction to the sport when I was 24, and within five years I had made it my job, training every day and working really hard to build up the biggest club in this area. 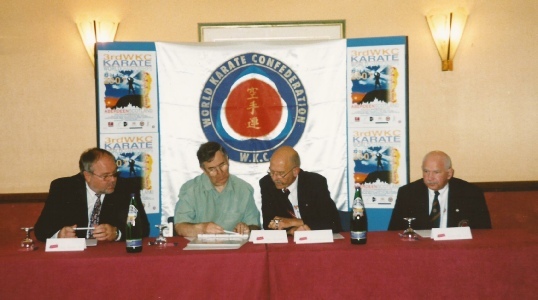 “Every so often, we would hire out Wishaw Sports Centre for an entire weekend and we’d have 500 black belts from all over Europe attending seminars. He uses the same description for the achievments of the club’s current members, such as teenagers Nikki Raeside, of Wishaw, and Kristen Martin, who have qualified for this year’s Junior World Cup in Taiwan. Andy said: “I can’t believe some of the things which these kids are doing now. It’s fantastic and we’re delighted for them about how well they’re doing. “These girls are winning medals every time we send them out.